Section 12J Investments don’t need to be difficult to understand, but typical articles explaining all the rules, requirements, laws and regulations, haven’t been written with the layperson in mind – but who said the layperson can’t be savvy investor? 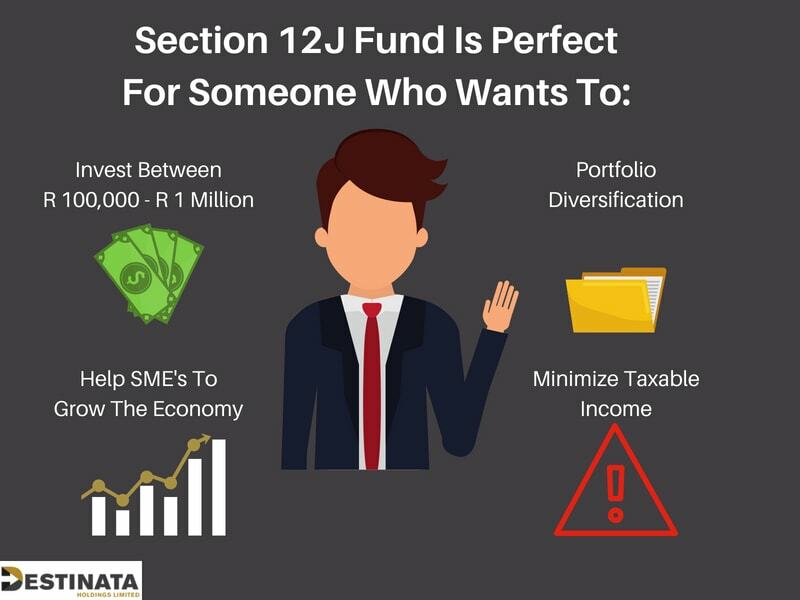 If you want to equip yourself to take advantage of the most tax efficient, 100% tax-deductible, investment opportunity of a lifetime, keep reading to find out more about how Section 12J work, and how these investments can help you reach your investment goals. 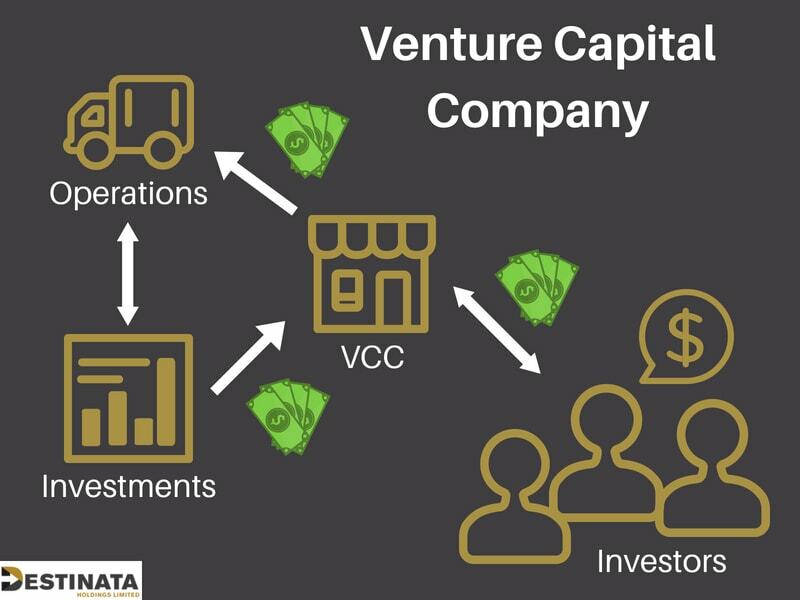 WHAT IS A VENTURE CAPITAL COMPANY OR VCC? A venture capital company (VCC) is a company that is in it’s early stages of growth and require a lot of capital. Through private equity funds, VCC’s can rasie capital by accepting investments in exchange for shares from any taxpaying entity be they an individual, a trust, or another company. In layman’s terms, an investor will invest their money (usually through an investment management company) in a venture capital company and see returns through growth and dividend payouts. In the case of Section 12J, if the VCC is a registered Section 12J company, investors would invest their capital and receive the Section 12J benefits in form of tax-deductions. 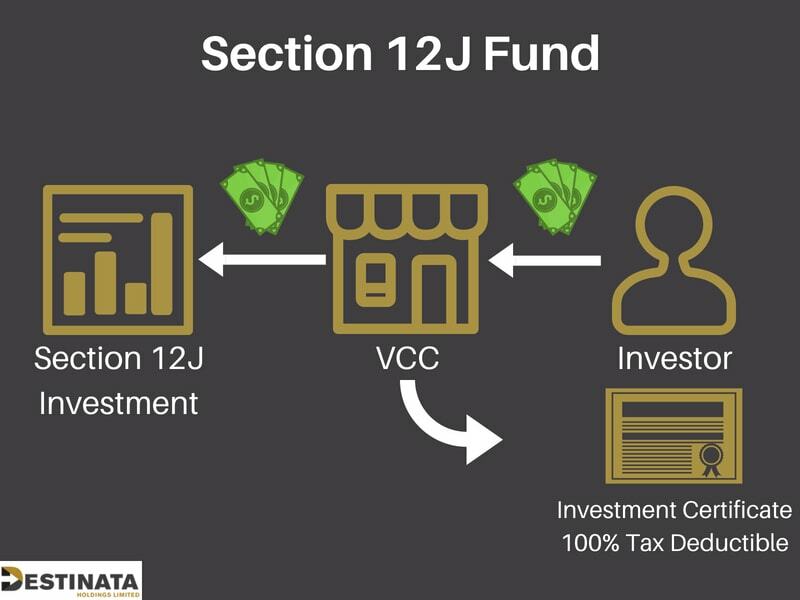 Section 12J investments are therefore very popular with VCCs, as S12Js represent a stellar marketing vehicle for the VCCs, who can advertise a tax-deductible investment to their potential investors. 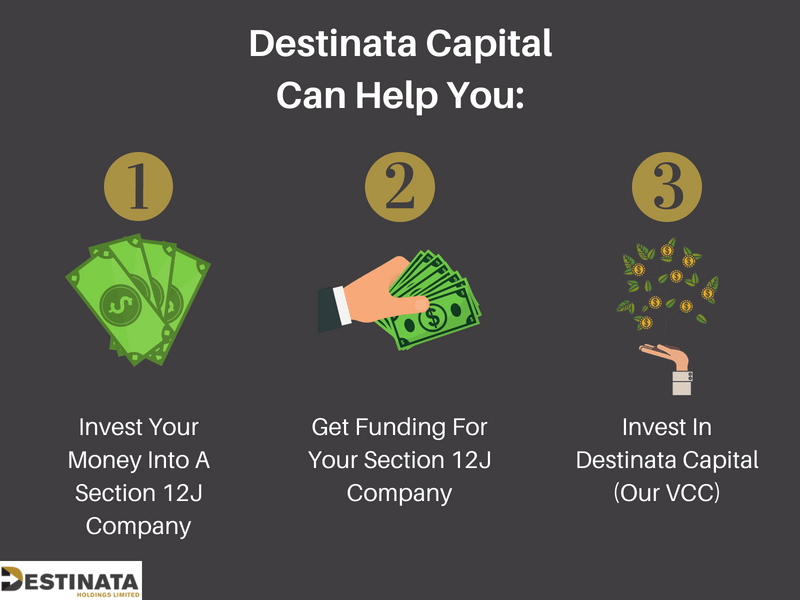 HOW DOES A SECTION 12J VENTURE CAPITAL COMPANY INVESTMENT WORK? As a taxpaying entity, you would approach a VCC with your investment. They would then invest this sum in their own company and issue you with a certificate for the amount of the investment. This certificate allows you to deduct the full value of your investment from your taxable income in that tax year – essentially offering the taxpayer a tax-free investment opportunity – but there are catches. Double taxation, for example, is currently catching investors whose VCCs make changes within the portfolios during the investment term, as capital gains tax is payable in the event of the sale of the underlying portfolio companies. When investors are paid out dividends, they are then taxed again (albeit for the first time “directly”) for capital gains or they pay dividends withholding tax. It is also vital to note that, when the S12J investment reaches maturity and the investor withdraws from the VCC portfolio, the base for capital gain will be zero due to the initial benefit of 100% tax-deductibility. So there are serious tax implications to a S12J investment, even though the tax-deductibility makes this investment vehicle attractive. Also worth noting is that section 12J investments are considered medium- to long term investment vehicles, and it is not advisable to make an investment in a Section 12J VCC unless you can commit to a minimum of a five-year investment. The investment will not reach its full potential or perform as it is intended to perform in a fewer than five-year time period, nor will you qualify for tax-deductibility if you withdraw your investment before the five-year period has elapsed. SO, HOW DOES THIS BENEFIT SMES, EXACTLY? By making contributions to this investment vehicle tax-deductible, the government attracts VCCs to market this investment, and taxpaying entities to sign up for this investment opportunity. The tax benefit of investing in S12J companies is thus the primary incentive for taxpayers to invest indirectly in the SMEs who benefit directly from the increased access to equity funding. 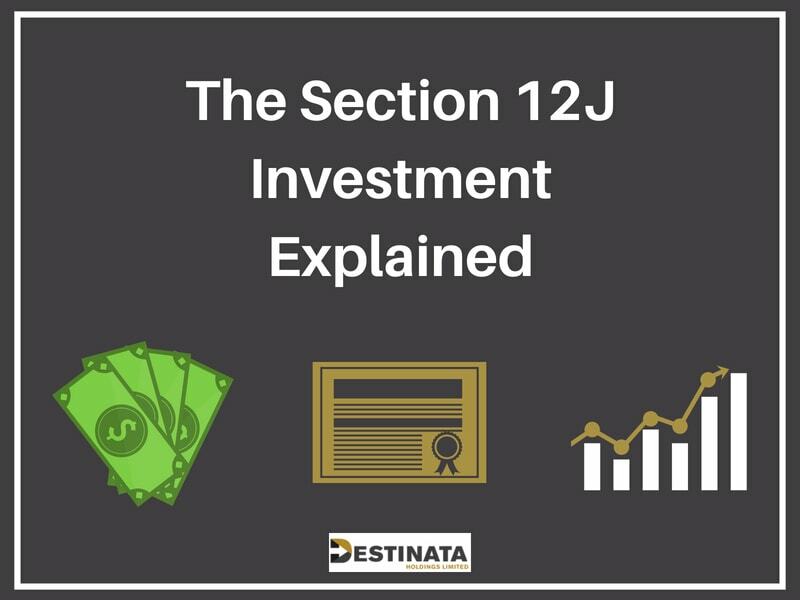 WHAT IS THE MAIN PURPOSE OF A SECTION 12J INVESTMENT? To provide a tax-deductible investment vehicle to potential investors in order to help stimulate the growth of SMEs by increasing their access to equity funding. To investors is to increase funding availability for SMEs that are a major contributor to projected future economic growth in the country. To invest in S12J companies, and VCCs choose to market S12J investments, is due to the tax-deductible nature of the investment that the government offers in an effort to make the investment appear more appealing. HOW WILL A SECTION 12J INVESTMENT HELP YOU ACHIEVE YOUR INVESTMENT GOALS? If the Capital Gains Tax on realization of the investment is applied to the entirety of the final sum withdrawn, why would anyone choose to invest in a section 12J investment vehicle? Well, the section 12J investment has a higher average net rate of return than the average traditional investment which more than offsets the cost of opting for this kind of investment. But time may be running out to take advantage of this tax free investment opportunity! When SARS introduced section 12J back in 2009 and revised it in 2014 they included a sunset clause that takes effect on the 30th of June 2021. The legislation as it stands may or may not be extended beyond that date. So, in order to take advantage of this investment opportunity, investors must invest before June 2021. Investors whose five-year investment period ends after the aforementioned date will still continue to receive the tax benefit on any funds invested in the S12J company until such a date as the investment is realized as per the initial investment agreement. Investing in S12J companies is also a great way to diversify your investment portfolio and to manage risk. As the core focus of S12J investment is to conserve capital, investment managers typically don’t take undue risks with your investment. With a higher average net return rate than more traditional investments, such as directly in the stock market, your investment manager doesn’t need to play it fast and loose with your investment in order to show you an increased return on investment compared to more traditional investment vehicles by the time the investment matures. Mr A falls within the 45% tax bracket. In year 1 he invests R1 000 000 in a VCC. In that same year he receives a dividend of R200 000, which he reinvests. *Compare this to the 15% you’d get in the good times on the JSE this is a no-brainer. READY TO INVEST IN A SECTION 12J FUND? SECTION 12J REQUIREMENTS – WHO IS THE INVESTMENT FOR? An investor looking for an investment with no legislated cap on the amount of funds than any individual taxpaying entity may contribute toward the S12J company as an investor. Trade in immovable property (with the exception of trade as a hotel or bed and breakfast owner). Trade in the banking, insurance, money-lending and hire-purchase financing sectors. Operating in the financial sector as an advisory service, including but not limited to legal, tax advisory, stock broking, management consulting, auditing or accounting. Trade or operation in the gambling industry include casinos and similar games of chance. Trading or operating in the manufacture, buying, or selling of liquor, tobacco products, arms or munitions of any kind. An established investor who is looking for niche investment that is uncorrelated to traditional equity and listed property markets. Not all Venture Capital Compies or SME’s can become a registered Section 12J company due to certain rules and regulations. Here is a list of sectors where you are most likely to find Section 12J companies to invest in. Renewable energy investors, as well as engineering, procurement and construction companies (ECPs) are increasingly becoming involved in section 12J investment opportunities in an effort to increase their competitiveness in the South African market. Project Developers are increasingly interested in utilizing the section 12J structures to boost their return on investment on renewable energy investments via the tax incentive section 12J investments represent. While section 12J deliberately excludes those trading in immovable property from benefitting from the allowances of the act, section 12J of the Income Tax Act can provide enhanced returns on investment in hotels, lodges, student residences and apartments which are exempt from this exclusion. Section 12J clause 1(b) prohibits immovable property investments by section 12J VCCs unless the property is utilized in a “trade carried on as a hotel keeper”. If one considers a hotel keeper as any person offering boarding or lodging where meals and sleeping accommodation is being supplied to others in exchange for monetary compensation, then hotels, lodges, student residences and similar apartments cannot be excluded from the opportunity to invest under section 12J provided they are structured correctly. Operate in the hotel, boarding or lodging sector. It is in movable asset companies’ best interest to consider section 12J of the Income Tax Act. 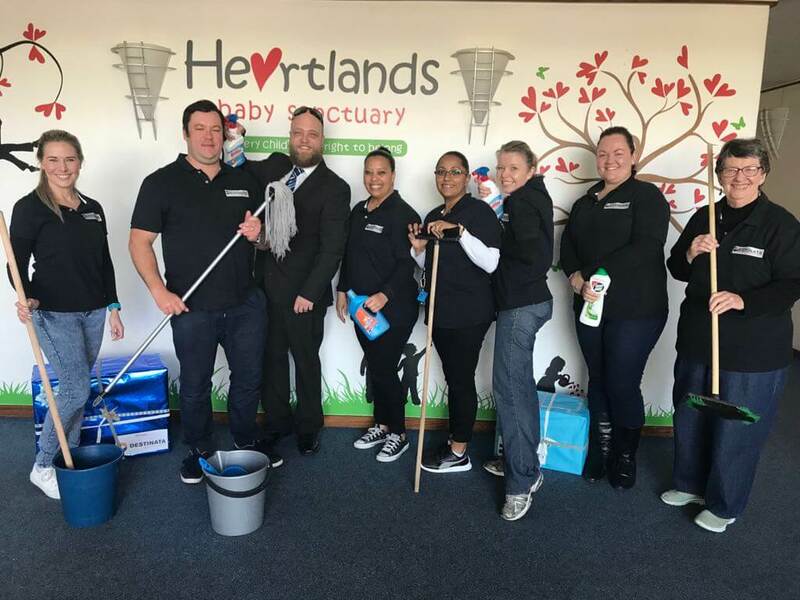 One of the biggest challenges companies such as car rental agencies and equipment or machinery rental companies face is capital expenditure on the machinery they lease. SARS has even released a binding private tax ruling that confirms that moveable assets are qualifying investments in terms of section 12J, which in this instance indicates that companies with a movable property capital expenditure should consider S12J as a means of reducing their tax bill. The binding private ruling issued by SARS indicated how these kinds of movable asset companies can expand their businesses through an S12J VCC and receive a tax deduction on the capital they’ve invested. Section 12J can benefit both franchisees/investors, and franchisors looking to expand their stores. Franchisors can structure their investments into the new franchise in terms of the section 12J VCC investment and in so doing qualify for the associated tax deduction. By structuring their investments in the same way, investors or franchisees can receive a tax deduction of up to 28% for companies and up to 45% for individuals and trusts. 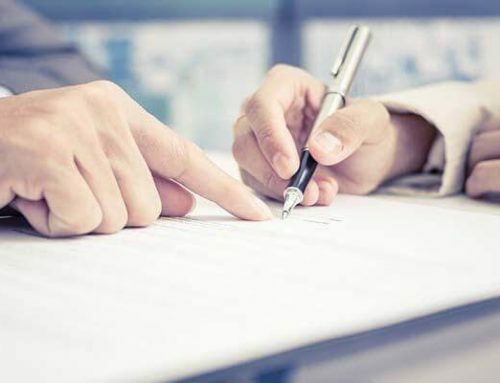 Private equity firms, family office and private individuals and companies who have invested in SMEs in South Africa but who haven’t taken advantage of the Section 12J structured invest through a VCC may be seriously missing out. Provided the SME operates in a permissible sector, structuring your investment through a S12J VCC may well qualify you for a massive tax deduction you’re not qualifying for based on the current structure of your investment. Restructuring your investment using section 12J could represent an enormous boost in your return on investment by reducing your tax liability substantially. One of the primary intended beneficiaries of the implementation of Section 12J by the National Treasury was the South African junior mining sector. firstly, mining is the only sector where the gross assets limitation of R50 million has been increased to R500 million. Based on the very broad definition of “junior mining company” provided in the legislation, most mining companies qualify as junior mining companies. It is, however, important to note that the maximum investment amount that can be made by a S12J VCC in the mining sector is R500 million as mentioned above. Therefore, this restriction limits the incentive for investments in large mining companies, but not potential investments by large mining companies. In layman’s terms, big or small, mining companies can and should be structuring their qualifying investments through a section 12J VCC in order to claim the associated tax deduction and save money. Mining companies are able to utilise section 12J investment allowances and the associated tax deductions in their favour in multiple mining operations sectors including the acquisitions of mines, plants and equipment. HOW CAN DESTINATA HELP YOU? Destinata Capital, part of Destinata Holdings, is a registered Venture Capital Company in terms of Section 12J of the Income Tax Act 58 of 1962, and licensed in terms of Section 7 of the Financial Advisory and Intermediary Services Act. Our goal are to offer investors a tax efficient investment vehicle – an investment in a 12J fund is 100% tax deductible – and to channel these pre-tax funds into companies where value can be unlocked and solid profit streams can be maintained.